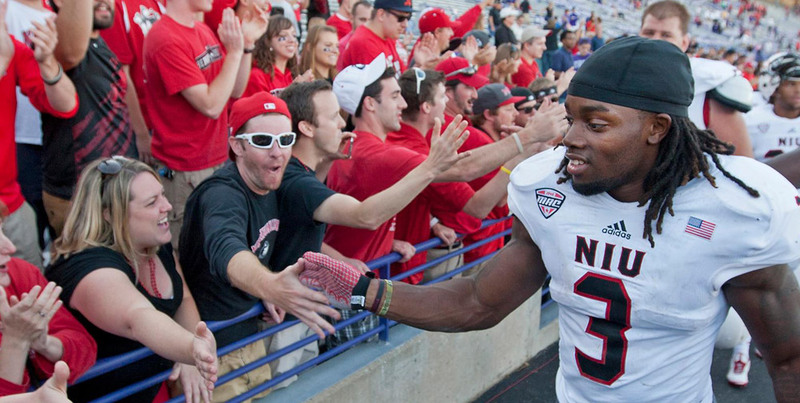 WHY SHOULD YOU BECOME A NIU FOOTBALL SEASON TICKET MEMBER? Single-game tickets will be available for purchase on August 1st. In order to request Iowa tickets, you must be a Season Ticket Member and a Huskie Athletic Fund Member. Non Football Season Ticket Members will not have access to any promotions or special ticket packages. If you are a Huskie Athletic Fund Member but not a Football Season Ticket Member, you will not have access to Premium Parking Lots and are limited to the Convocation Center lots. 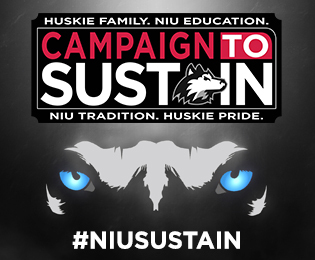 If you are a Huskie Athletic Fund Member and a Season Ticket Member, you can receive access to the pregame Huskie Athletic Fund Hospitality Tent and the post-game 5th Quarter Events. Both of these events include complimentary food and a cash bar with inside access to NIU Athletics. When purchasing tickets for away or postseason games (MAC Championship Game & Bowl Game), the best seats available are allocated based on 1st) Annual Giving Level and 2nd) Priority Points within each Annual Giving Level. Non Football Season Ticket Members will not receive Huskie Athletic Fund Priority Points, therefore you will not receive priority in the seat allocation process. Exclusive NIU Football events, such as the Football Kickoff Event, the new "NIU Football; Stories from the Sidelines" event, and the end of the year Football Banquet, will be reserved for Football Season Ticket Members only. You will have the first opportunity to purchase the best available seats in Huskie Stadium before the general public. If you would like to purchase tickets to the Iowa game, you must be a Season Ticket Member and a Huskie Athletic Fund Member. Football Season Ticket Members have the option to upgrade seats into a Premium Seating area at Huskie Stadium. Football Season Ticket Members also receive discounted season tickets for Men's & Women's Basketball & Volleyball. In August, you will receive the Official Football Season Ticket Membership Package, which will include your season tickets. If you are a Huskie Athletic Fund Member and a Football Season Ticket Member, you have access to Premium Tailgating & Reserved Parking Lots. Access to Zone based Premium Parking is based upon your Annual Giving Level. If you are a Huskie Athletic Fund Member and a Season Ticket Member, you can receive access to the pregame Huskie Athletic Fund Hospitality Tent and the post-game 5th Quarter Events. Which both include complimentary food and a cash bar with inside access to NIU Athletics. For more information on Huskie Athletic Fund Membership and Game-Day Events, please click here. When purchasing tickets for away or a postseason games (MAC Championship Game & Bowl Games), the best seats available are allocated based upon 1st) Annual Giving Level and 2nd) Priority Points within each Annual Giving Level. Football Season Ticket Members receive Huskie Athletic Fund Priority Points and therefore they will have access to the best seats available. Football Season Ticket Members receive invitations to exclusive NIU Football events, such as the Football Kickoff Event, the new "NIU Football; Stories from the Sidelines" event, and the end of the year Football Banquet. Football Season Ticket Members have the unique opportunity to engage with student-athletes, coaches and staff at these first-class Huskie Athletic Fund events. 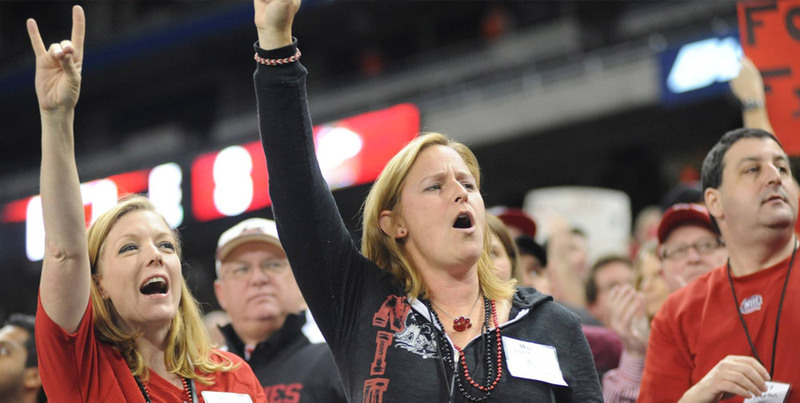 Whether you are at a game, around town or halfway across the country , you should stand proud knowing that you play a major role in the success of NIU Football. Thank you for your support of NIU Athletics – Football Season Ticket Members make a difference! BECOME A FOOTBALL SEASON TICKET MEMBER AND PURCHASE TICKETS TODAY!